Ex-Tudors midfielder Danny Talbot has been named as player/assistant manager at Southern Premier outfit Dunstable Town. 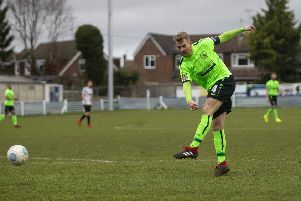 Talbot left Vauxhall Road earlier this season to join Chesham United, after helping the Tudors to the Southern Premier Division title last year. His stint with Chesham was short-lived, though, with Talbot named as assistant to Dunstable’s new manager Tony Fontenelle last week.